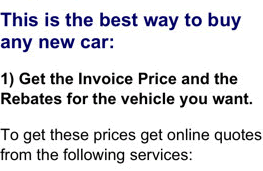 The MINI Clubman invoice price and the true dealer cost are not the same. 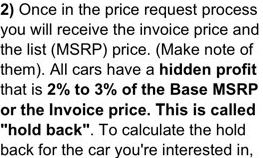 Note: The MINI Clubman pricing report below does not include rebates or incentives. 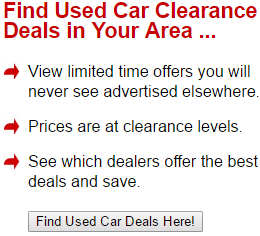 View Rebates and Incentives. Imagine the classic Cooper style in three different distinct trims: Classic, Signature, Iconic, and S. These extra trims give you the opportunity to have refined features that make your Clubman stand out in the crowd. To put it simply, the 2019 MINI Clubman continues to get more and more refined, but the general concept is the same: This is a spiffy, sporty hatchback with a unique design - roof configurations change the appearance significantly - that makes it desirable to folks who don't want to drive what everyone else is driving. The 2019 models have greater refined trims - Iconic and Signature - so that you can get chrome exterior accents and sportier touches than you could in year's past. So while the Classic Clubman stays fundamentally unchanged from 2018, the 2019 MINI Clubman continues to evolve with greater and more luxurious trims that throw in all the amenities and style flourishes that you expect from your Clubman. Engine configurations stay the same, with a base engine that turns out 134 horsepower and 162 lbs-ft of torque. A turbocharged 2.0-liter four-cylinder engine is available for higher trims that give you a whopping 228 horsepower and 258 lbs-ft of torque. The base model 2019 MINI Clubman is efficient and fine for what it does. It has solid features like 134 horsepower engine, 16" alloy wheels, and beautiful leather-wrapped 3-spoke steering wheel for a sturdy and comfy grip. Higher trims give you much, much more. In short, there is a plentiful array of features on the base model, but you can really get the kind of luxury you want by going with the Signature or Iconic trims. The sheer amount of features will astound you once you get into those trims. Make no mistake, though, the base model is fully equipped with modern technology as well (a 6.5" touchscreen display and Media Center to boot), but for folks who demand everything and then just a little bit more, higher trims are your best bet. Twin-turbocharged engines can make for a more powerful ride for the 2019 MINI Clubman. Most folks going with a subcompact car aren't necessarily looking for power, but it's nice to know that if you don't want to give up power in your subcompact vehicle, you can still get a super powerful engine that gives you a robust 228 horsepower. And don't forget the independent suspension system - Powered by Macpherson struts - helps to harness all that power into a highly refined, precision drive each and every time. Nothing about the Clubman feels "light." It's all incredibly precise and to the point out there on the road. Fuel economy is another area where the Clubman shines. You get 24 MPG in the city and 33 MPG on the highway, so that you don't have to fill up as often, and you'll experience that always pleasant feeling of saving at the pump. The aerodynamics and reduced size of the Clubman make it a natural champion of fuel economy, and that's great news to the folks who don't want to shell out big bucks at the pumps in 2019. And thanks to the Driving Assistant feature, you're going to feel more secure out there on the road than ever before. The 2019 MINI Clubman is a true champion in the world of subcompact cars, and it packs a lot of space into the smaller interior thanks to ingenious storage solutions and maximization of space. It seats 5 people, so it's not out of the question as a smaller family's hatchback or a perfect first car for that special teenager in your life. With ample amounts of technology and trims that give you room to grow, along with optional features, you'll find that the Clubman is an ideal subcompact hatchback that makes life fun, easy, light, and efficient. If you could summarize this vehicle in one word, the word would be fun. 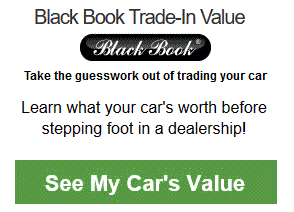 Example: Base MINI Clubman invoice price + the dealer Invoice price of options + destination - Holdback = Total Dealer Cost. 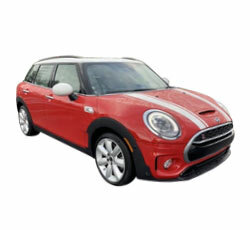 Note: All MINI Clubman MSRP, invoice and dealer cost dollar figures above are approximate amounts. Prices are subject to change without notice.